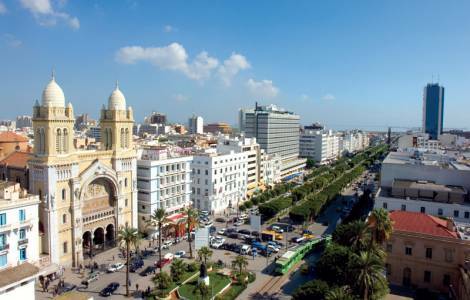 AFRICA/TUNISIA - "Importance to achieve the second reason of the 2011 revolution: economic development"
Tunis (Agenzia Fides) - "We have the impression that protests are beginning again due to the second reason of the 2011 revolution: the economic one", says Fr. Jawad Alamat, National Director of the Pontifical Mission Societies (PMS) in Tunisia, where the protests over the lack of work are multiplying. "The 2011 Tunisian revolution of was based on two reasons: freedom and economic development to create jobs", said Fr. Jawad. "On one side it was mainly an elite calling for freedom and the other was the great majority of people who were asking for work". "The first step was achieved: after five years Tunisia has made enormous progress in the field of alternating democratic and civil rights, such as freedom of thought, expression and conscience are recognized in the new Constitution. A fact recognized by the whole world with the award of the Nobel Peace Prize in 2015 to the Quartet for Tunisian national dialogue (see Fides 09/10/2015). " "Unfortunately - continues the National Director of the PMS – this cannot be said in the field of social rights, such as employment and the fight against poverty; indeed social problems have increased". "Tunisian economic conditions have deteriorated because of regional instability and the global economic crisis, as well as the situation in Tunisia itself, where both local and foreign investors are reluctant to investing due to a perceived lack of security". "These days popular protests have started again, especially in areas where the 2011 revolution started: Sidi Bouzid, Kasserine, Thala, etc ... Even in Tunis there were some demonstrations for jobs", said Fr. Jawad.